Early last summer Kate and I took a quick weekend jaunt to Fairplay, over Weston Pass and up Forest Service Road 390 to the Winfield town site, then on to Twin Lakes and Leadville, Colo. It was mid-June and I was fairly convinced Mosquito Pass would still be impassable due to snowpack, as it typically is 10 months of the year or more (I later confirmed it would have been). Wanting to escape to higher elevations for a weekend anyway, I proposed the lower, smoother route over Weston Pass and some exploring. 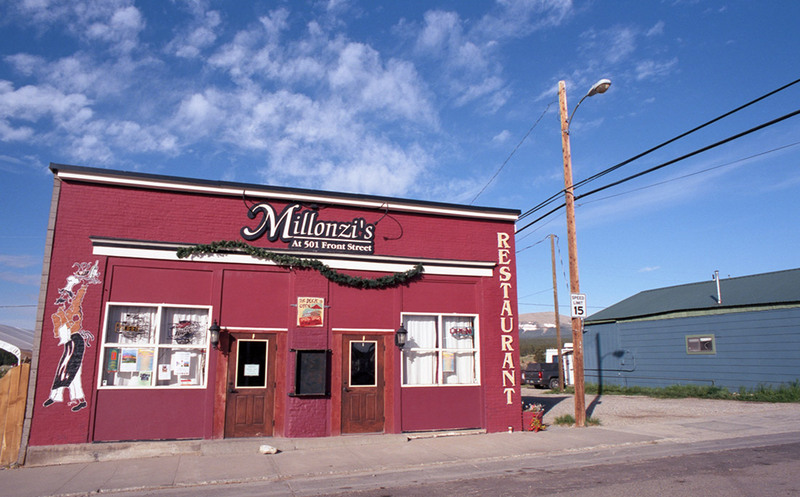 The hotel dates to the 1880s when the Valitons purchased the land and built the first inn, and after additions and changes of hands, it was rebuilt following a fire in 1921-22 to its current style. Our room featured a tiny bathroom and entryway with mosaic tile floors, hardwood in the rest of the room, and a big iron bed. It was definitely old — a tad dusty and threadbare, and everything a bit uneven — but it just oozed character. My only complaint would be that the mattress could use an update — it was a bit lumpy and quite a bit lower in the middle than on the edges. The walls were a bit thin (not East Colfax motel thin, but not quite soundproof) and the floors were creaky. But the linens were clean and the shower was hot. It was truly delightful. In the morning we headed south from Fairplay and followed the signs to Weston Pass. It’s a well-maintained road that crosses the southern end of the Mosquito Range without going above 12,000 feet and should be passable in all but the lowest of passenger cars. 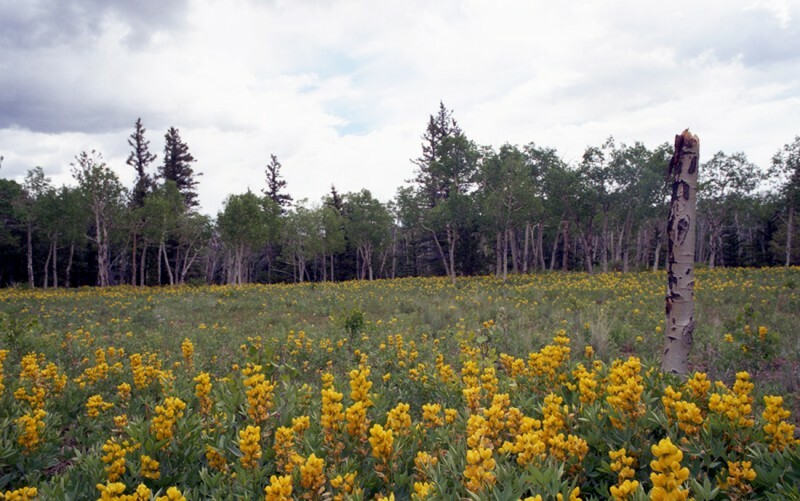 The summit is at 11,921 feet and only a bit above tree line, so most of the drive is right along the creek at the valley floor, surrounded by low-density forests and wildflower-speckled meadows. On the west side, the north side of the valley is largely treeless. The views from the pass are great, and along both sides of the valley runoff makes its way down centuries-old channels — to the South Fork of the South Platte River on the southeast side, and to Big Union Creek on the northwest side. The lower elevation of the summit (at least in comparison to many of Colorado’s passes) means there isn’t a “top of the world” moment or view from the summit, but the surrounding mountains offer plenty of eye candy. You can see East and West Buffalo Peaks, Sheep Mountain and Horseshoe Mountain. Obscured by the lower peaks, but visible on the way up the east side is the 14er Mount Sherman. The trailhead is just off the route to Weston Pass, too. As you approach Colorado 24 on the west side you’ll have great views of two more 14ers in the Sawatch Range — Mount Massive and Mount Elbert (Colorado’s highest point at 14,439 feet). We finished the 27-mile trail by lunchtime in spite of having spent half the morning helping a traveling Kiwi couple with a flat on their classic Cadillac. They purchased it in Texas and were spending a three-week vacation driving it to Long Beach to put it on a boat home to Auckland, but discovered on that Sunday morning that the restored Coupe de Ville was lacking a lug wrench, despite having a tire and jack. Having plenty of the day left, we consulted the map and decided to try our luck rumbling up Forest Service Road 390 through Clear Creek Canyon. The route is relatively short and much of it also probably is passable in a car, though high clearance and mud & snow-rated tires were a plus in a few places. 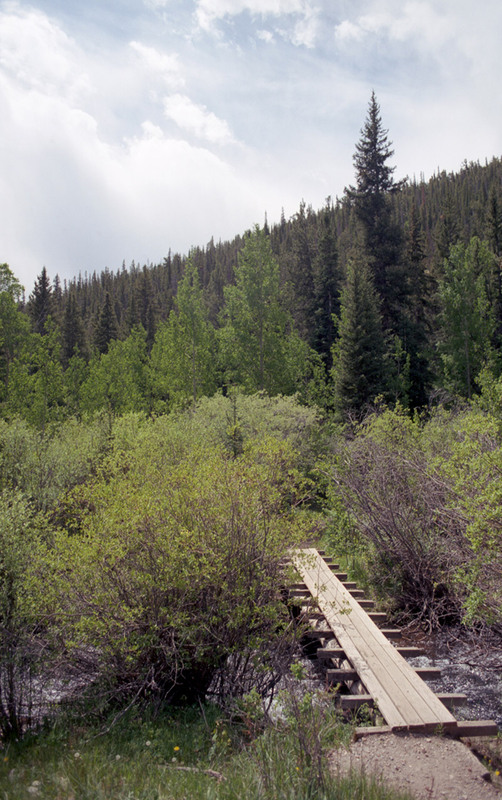 The road passes through four ghost towns and numerous campsites. The Weston Pass road meets Colorado 24 a few miles north of Twin Lakes. Head south past the turn for Twin Lakes and past the tiny town of Granite and you’ll find U.S. Forest Service Road 390 just before Clear Creek Reservoir. Turn onto the gravel road and head up the valley into the Sawatch Range. The first ghost town you’ll encounter is Beaver City. Two cabins, one with a number of modern repairs and renovations, and a couple outbuildings remain there. 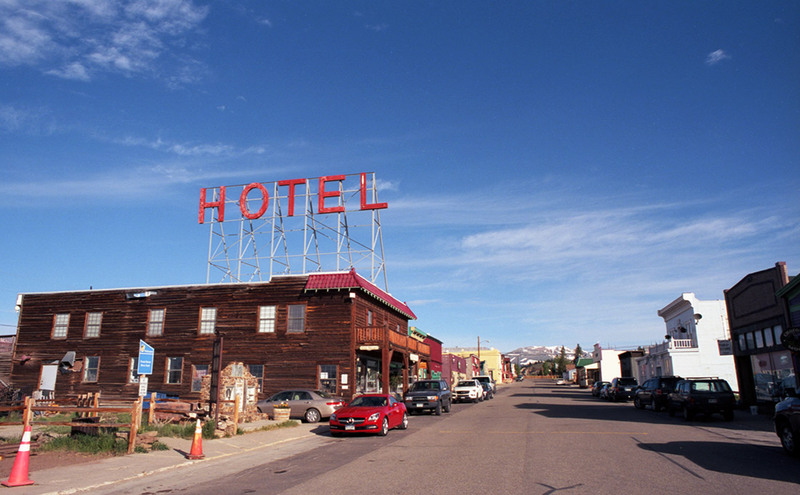 Founded by prospectors from Leadville, the town reportedly never grew much beyond 20 buildings, but spurred further explorations that led to a string of camps and towns up the canyon. Not much further you’ll find Vicksburg, which was once a large town of perhaps 600 people. Today there are several original cabins converted to museums and surrounded by mining equipment from several nearby mines, including a very impressive air compressor. 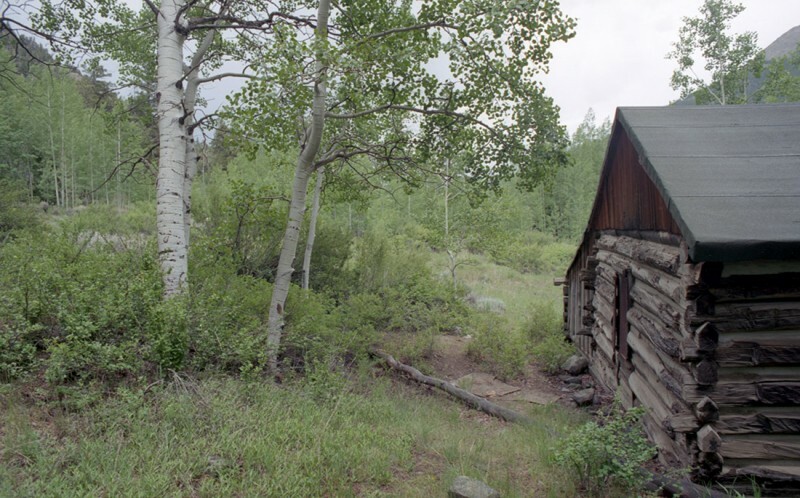 There are a dozen or so privately-owned cabins, as well, most of which are original and many of which are still owned by the descendants of early town residents. The street that runs in front of the remaining cabins is lined with rows of Balm-of-Gilead trees which were packed in on burros as saplings and planted by the earliest miners. The trees remain to this day, and could survive to produce their sweet fragrance for another 50 years or so. Up the road a bit further you’ll find Rockdale/Silverdale. Some of the handful of remaining original cabins here are apparently available for rent, though they offer no conveniences or services, and are unlocked and empty otherwise. The cabins housed miners for the nearby Crescent Moly Mine in the 1930s-40s, though the Rockdale mine, just a few hundred yards downhill from the cabins, appears to have predated the Crescent by about a half century. This was a nice place to pause for a snack as the town is in a dense stand of pines on a little promontory just above Clear Creek. The town site of Winfield is a couple miles further up and is about the end of FSR 390. 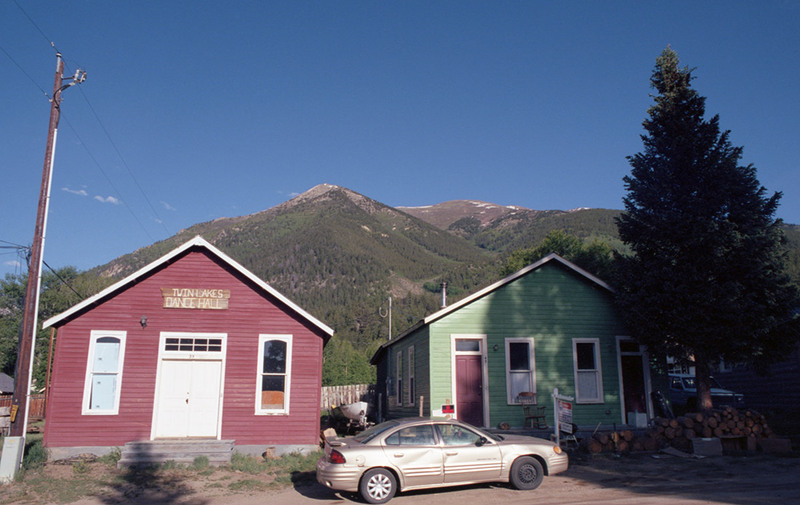 Once a town of over 1,000, the Clear Creek Canyon Historical Society has preserved a half dozen or so cabins and a schoolhouse. Signs and displays discuss some of the town’s rich history. 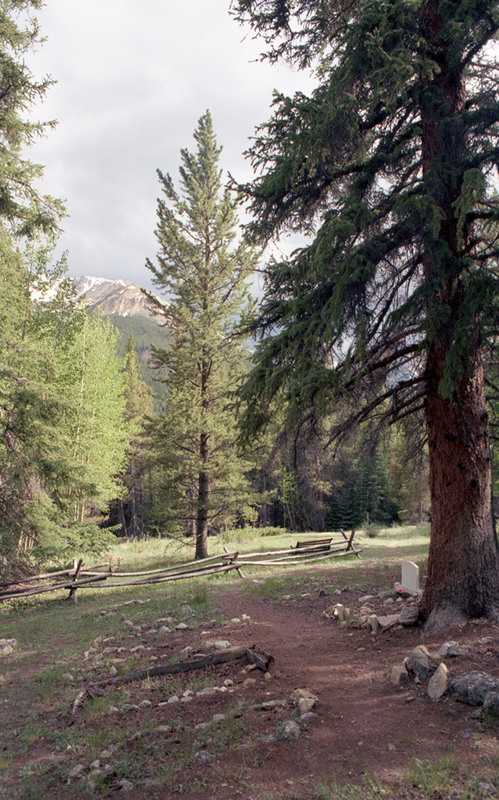 One or two modern cabins sit just behind the historic town’s remains, and across the valley is a large, improved Forest Service campground. From Winfield we took FRS 390A (the right fork at the end of the town site) up the hill a little ways and found the town’s cemetery with several very old headstones under an enormous Ponderosa pine tree. The left fork at the end of town reportedly heads up to the site of the Banker Mine via a couple miles of rugged high-clearance trail. We skipped that option and headed back toward the highway. 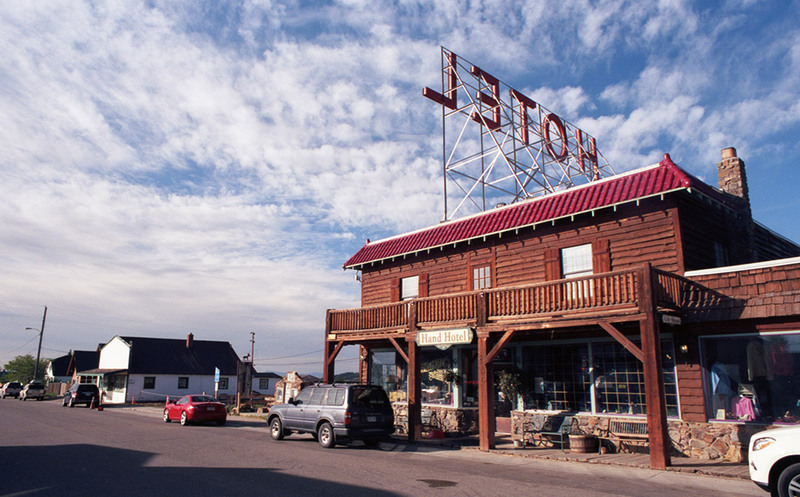 We took Highway 24 north toward Leadville and spent the night in the tiny town of Twin Lakes. We had a lovely, recently-remodeled king room just past the front desk of the Twin Lakes Inn. Built in 1879, the building has obviously been added onto repeatedly over the years, having been a stage stop, and even a brothel, in its more than 135 years. After a good night’s sleep in Twin Lakes, we drove into Leadville for lunch and poking around before heading home on Monday afternoon. It was a great way to spend a weekend at cooler elevations. I made all my photographs using my Nikon FM2n and Kodak Ektar 100 film.